The product goes on easy and seems to cover a lot of tack, but does not seem to soak in or last much. I won't buy again. I have used Leather Therapy Restorer & Conditioner for the last 5 years and it has become an essential both in my barn and in my trailer. I have used it on saddles, riding boots, barn boots and leather belts - anything leather. I just purchased bottle number 6 and obviously recommend it. I use this product at least every 2 weeks. I use the wash daily and followit up with this approx every 2 weeks, Keeps my leather supple and looking great! This is a good choice!!! I've used this leather cleaner for a long time good product. I can definitely tell this conditioner is a great product. Just wish it was a bit cheaper. Leather Therapy products are a bit pricey, but well worth it. I bought this for my significant other because a broken window caused the interior of his BMW to mold. All the leather was fuzzy! This was the only product that I felt was worth spending money on to clean, protect and care for his car. Prohibits mold growth, cleans down deep, conditions like new. Can't find this quality in any store. Thank you!!! Best leather care product ever! After trying to find the best leather care product to care for the leather interior of my Porsche, LEATHER THERAPY was by far the best one, endorsed in most of the online forums for exotic sports cars. Most recently, I used it to restore the leather on my faded and dried-out Ekornes Stressless recliners and ottomans. If you have dried-out and damaged leather, apply liberally to cloth or fine sponge and really work it into the leather, and give the leather some time to absorb the product and off-gas the fumes. The fumes are by NO means noxious, but there is a very mild but noticeable, NOT unpleasant scent. A lIttle goes a long way, and it can be a bit runny. Otherwise, you can apply a light coat and reapply if necessary, but it's better to apply a heavier coat and really work it INTO the fine cracks and grooves in the leather. As always, try a small area first and see how it does. I love this product, and it's a lot of fun to preserve, protect, and restore leather--giving it new life! I have tried a few other products, some I like better than others and this is a good quality product. It has a pleasant smell, unlike some leather products and does a fantastic job softening and conditioning leather. So far, I cannot attest to its longevity as I just received it and only used it on a couple saddles, but I really like how it conditioned the leather and makes it supple. It is simple to use and works great! This product is by far my favorite tack cleaner and conditioner. I use the WASH daily after use and once a week I use the Restorer and Conditioner. On old leather it makes it supple again and on new leather it just keeps it looking new! Easy and very beneficial to leather. I was pleasantly surprised in this product. It doesn't leave an oily residue and conditions the leather. I have a lot of older tack that needed care and some of it had mold. Leather Therapy Restorer & Conditioner does exactly what it says, it brought life back to my older tack! It took several applications, but it is worth it. This is my new favorite product! I was looking for something to nourish and help my old dry saddle. it did a great job helping. i just wish it were cheaper. After riding since 1962, I was a Lexol diehard. But, someone turned me onto Leather Therapy last year. Where has this been all my life? I own six horses and am a fanatic about my tack. Leather Therapy brings even old stuff, like 40 years old, back to life AND maintains newer tack keeping it supple and mold free. I actually called the woman who invented the stuff to tell he how much I loved it. Try it. You'll never go back!!! I have been known to "flip" saddles: buying old neglected ones and then reselling them. After a few sessions with Leather Therapy, you wouldn't recognize them. The leather literally comes back to life.This product retails for $28 in the stores. State Line sells it for $21!! Was concerned about other reviews complaints of bottle being flimsy. Yes I agree it is. Wish it would have been wrapped in bubble wrap because it did leak a small amount. As far as quality of product - TOP SHELF. Works very well. Love this stuff ! I won't use anything else for now on !!! Leather Therapy Wash cleaned up my riding pants (full leather seat, and those with knee patches), I worked Leather Therapy Wash into the leather on my pants, and without adding any other cleaners/soaps, tossed the pants into an automatic washer on Cold setting and hung them on a line to dry. I was very pleased the leather had not shrunk or lost all of its softness. After everything was dry, I applied Leather Therapy Restorer & Conditioner to the leather on my pants. Excellent result! Then I restored my old (over 30 yrs in dry storage) Steuben Rex saddle. First applied Leather Therapy Wash following directions carefully. 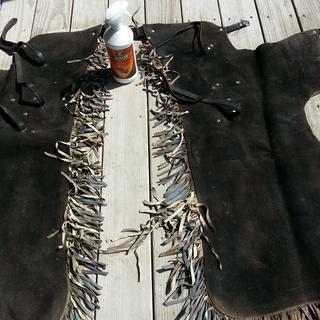 Let it dry thoroughly, then applied Leather Therapy Restorer & Conditioner. Again, Excellent results. Will buy this product again. At State Line Tack because the price for value was the best. I bought this product to condition my saddle which had gotten a bit of mildew on it. I used the wash of this same brand and then the conditioner as is recommended for best results. The Conditioner itself is great! Packaging, not so much. This conditioner makes any and all leather feel like lamb's skin. My leather feels new and more comfortable than before conditioning. I use this on my saddle and I swear that I perform better, haha. This conditioner is the best conditioner that I have ever used before, but is a little pricey. I bought the biggest bottle they had and it has last me over 50 conditionings (My bridles, halter, saddles, and other leather things I have lying around) There are more pros than cons, I hope that they change the bottles they use to put the conditioner in because it arrived broken. Overall I really enjoyed the conditioner and will be buying more in the future. I bought this to help restore a friend's saddle (the stirrup leathers and flaps felt so stiff and smooth, they seemed petrified). A little goes a long way, and the leathers and flaps have become a lot more supple. A friend told me that the bottle is pretty fragile, though, and could crack if I drop it. State Line extra bubble wrapped it for shipping, so it arrived safely. This stuff keeps my work boots and barn/riding boots looking new! this is the best leather conditioner I have ever used it cost a little bit more than some of the other competitors but is it worth every penny. this is the only kind I will ever use on my leather saddles and tack. This product is great! It doesn't leave a gross smell or residue on your hands like most conditioners do. I used it on a cheaper quality breast collar that was brand new and it softened it right up and really increased the quality look of the leather. You won't regret this purchase! this product delivers what it promises! Had an old bridle that definitely had started to feel brittle. Instead of soft & supple like they need to be. Absolutely thrilled with the way it worked its magic. The bridle can now be used for our next trail ride. Cleaned my moldy saddle first then allowed it to air dry completely before using. The leather is restored to new condition! Love this! 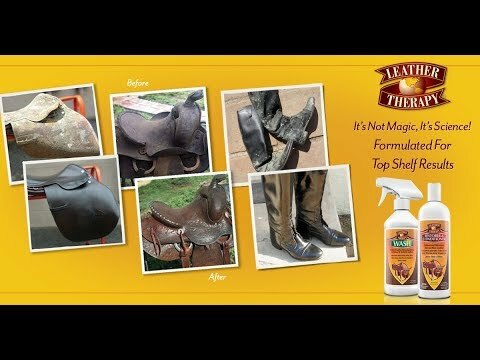 Leather Therapy Restorer and Conditioner is the BEST product I have found to soften and preserve my leather horse tack. I had purchased a wider belt then I usually wear to better fit my holster. It is a 2inch wide belt so it was pretty stiff. The conditioner did the trick and now I can't even tell the belt is there. I also put some on the toes of some hunting boots I own and it made them look new again. Excellent product which I wouldn't hesitate to buy again. This product wiped out REALLY nasty mold on my tack! And made it nice and soft! I'm on a budget and turn over every nickel five times before spending it, but it was either find a product that worked, or toss a whole lot of expensive tack. The leather wash and restore products lived up to their reviews! I should have taken before and after pictures, because the difference was amazing. REALLY happy with the result! A MUST have for leather tack!! OMG!! I have a large number of occasionally used saddles and bridles as well as heavily used saddles and bridles (since since the 1980's) and I just discovered this fabulous conditioner!! I have tried lots of others such as Fiebings, Lexol, etc., and THIS ONE is positively amazing!! Slowly but surely I am using this on every leather piece of equipment I own. Saddle seat bridles molding in show bags, polo saddles in the basement, as well as show bridles and saddles: wow... wow... WOW!!! (I must warn you, however: This use of this product is addictive!! When you "try" it on one item and then discover the next day the soft, buttery feel it gives that piece with no "sticky or oily feel, you are compelled [nay, obsessed!!] to do another piece... and then another... and another, and another!!) Even cheap leather improves and transforms (not to a quality bridle leather of course, but from the "cardboard" feel it generally has.) If you have leather, you NEED this product!! Have an old leather chair that needs restoration. I like a 1 step product. I read good reviews about this so I wanted to give it a try. I've used this product on my motorcycle leather and it's kept the leather looking great through all kinds of weather. Live in extremely dry climate. Leather needs something like this. Saw it on the CMP website forum. For the same reason I posted above(for leather therapy was) and again so far it is working.....yippee~! To help keep mold off tack and to restore an antique saddle. This item got great reviews, and my saddle has been prone to mold. I'm hoping this product will help restore my saddle and keep the mold from coming back. THIS IS GREAT STUFF. WE HAVE ALOT OF HUMIDITY AND WITH THAT COMES MOLD. THIS STUFF STOPS AND KEEPS THE MOLD AWAY. To clean and restore. I've used other leather therapy products and liked them. Trying this because of my good experience with the Leather Wash by the same company. 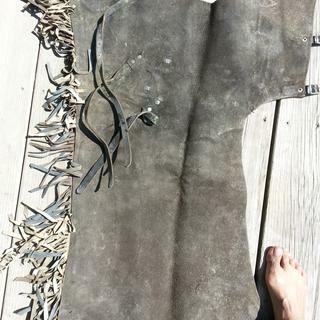 It says that it restores old leather. I have a old saddle that desperately needs this! This is an excellent product that I can't find where I am living. I've heard good things about the Leather Therapy brand. I want to take good care of my leather items. Best ever and it works! Try it, you will never switch back to anything else. Find it to be the best products for leather care. The best leather conditioner ever. this is a product that we have used for years with great results. Read that this product work very well on carved leather. This is the greatest product for saddles. I've used several products and none compare to this.. Highly recommend for saddles or leather products. This is the greatest leather product on the face of the planet. After 53 years with horses, I know!!! Horse Journal rated this #1 and it's GREAT! It has good reviews. Our hot, dry climate is hard on leather. Did online research on riders, horse blogs plus Amazon reviews. This brand Leather Therapy (Restorer & Conditioner 32 oz) got a lot of good comments so I decided to try these products to restore an old Stubben Rex saddle that has been in storage for a very long time and is dried out and dirty. I'll post my review once I've tried the Leather Therapy products I ordered today. I read how well it works. Does an excellent job softening and conditioning leather tack. It is the only conditioner I use after cleaning my horse equipment. I've used this product before, on leather couches. It works very well. Would you recommend it for use on a leather motorcycle seat? Thank you, Amber. I take it from your answer that it may be harmful to the stiching. Is this true? yes, great for leather - but watch the stitching! My tack has mold and mildew on it, do I need the wash first? BEST ANSWER: Should always wash leather before conditioning, not new items to make more supple. Saddles/tack can be hosed off and cleaned to get all the deep down dirt hiding everywhere- had my saddles reconditioned by a saddle maker and he said it's essential to start with really clean items and my saddles came back as if brand new! Esp an heirloom German made English set! To see the real color it was when new was shocking,and I feared some hardened parts might break but all was beautiful and supple! I was so happy with all my "new" saddles! I highly recommend the wash, as the restorer and conditioner does not address the mold and mildew by itself. 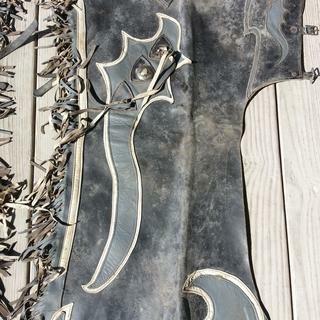 See my product review on a pair of leather bull riding chaps that had mildew from being stored in the basement. That should answer your question on if it works. The bottle recommends applying to clean leather. I haven't had to deal with much mold but I do clean off dirt deposits and dried horse saliva. He drools a bit. I like the leather wash but anything appropriate for cleaning leather would work. I would definitely get the wash. That combined with the Restorer does an amazing job of getting rid of the mildew. It may take several applications of the wash--just keep applying both steps until the mold stops coming back! I would use the Leather Therapy Wash first, let it dry then treat it with the Restorer. These are great products and I use them on all my leather goods, not just tack. No you can use this product to clean your tack and then reapply if needed to condition further. We use this product exclusively even when cleaning mildew etc. I used these products on an older bmw car leather seats ! And had very good results !! Will it clean and condition leather purses? BEST ANSWER: I wouldn't completely submerse your purse to clean it, unless it is basically just an unlined bag. But you should be able to spot clean outside area with a damp sponge and cleaner. Then wipe off with clean damp sponge. I don't see why not, if the purse is leather, it should. the description says: From saddles, boots, and shoes to jackets, luggage, or your favorite chair, Leather TherapyÂ® will make your leather behave beautifully! It worked for me. I cleaned up my saddles. It is made to do those 2 things so yes. Does this product clean leather coats? Yes you can use it on a leather jacket. It will clean and condition at the same time. Once applied let it sit. If the leather is a little dry it will absorb excess. Then wipe with a soft cloth. Thank you for responding. You got me sold on the product. I havenâ€™t used it on coats, but I have used it on the leather in my truck and boots. Put on lightly and let set then wipe any residual. Thank you for clearing me up. Absolutely! It cleans really well, but doesn't darken. can it be used on vintage leather dress jacket ? BEST ANSWER: This product worked great on my vintage saddle. The leather is different quality and I needed to use quite a lot as my saddle was in desperate need of help, but it worked great. I would say start with a very small amount on a soft cloth (I used heavy duty microfiber cloths found in the car care section) in a hidden area first (maybe under the collar). Don't saturate it, just enough to cover the surface and let it soak in, then buff the excess off, if there is any. 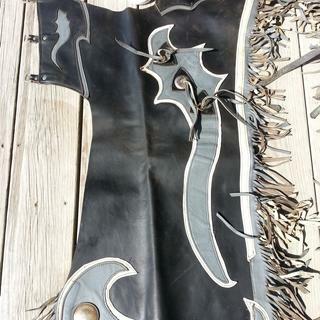 It will turn the leather a bit darker until it completely dries. The end result is absolutely amazing. 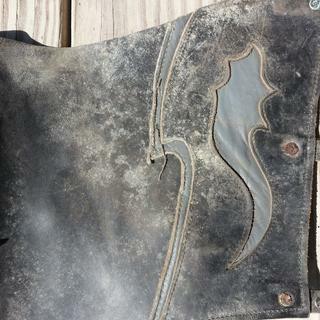 I used the product on both my saddle and a leather headstall and the result was remarkable, I wouldn't hesitate to use it on any of my other leather products. Be sure to shake it well and shake often during use. This would be good for smooth leather, like for saddles, bridles, boots or purses. I would try a small area where it would not be noticeable if I were desperate to clean my jacket. Works well on saddles and boots. I would say yes. I've used this products on all different kinds of leathers and have always had good results. Can this be used on a leather couch? BEST ANSWER: I used it on my antique leather covered chair. Also on leather car upholstery. Results were very good. If you go to youtube, you will see how to use leather conditioner on old couch leather. I use this on my expensive saddles. Highly recommend this brand. I have not tried this and don't know for sure. But I would try it. It will most likely darken your couch. Give it a try on the under side of a cusion or back side. It can be used on most leather items. Please be careful to test it on an inconspicuous area of the couch first to be sure. How do I use this product? Also, does it help with cat scratches on leather couches? I love this product. It does help with scratches on leather. I use it monthly on my furniture and my saddle. I used it on my saddle. Don't know about couches. Can it be used on sun bleached, dry leather chair and sofa ? BEST ANSWER: If the furniture does not have a protective substances i.e. so that the leather therapy product can be absorbed by the leather it shold be ok. Try on a small area that is not conspicuous. I was going to use it on the leather seat covers in my Pickup, but I never got around to that. It works great on all my bridles and halters. Some of them were pretty dry! Not sure. Might damage stuffing inside of the furniture if leather is over saturated. A little bit goes a long way. Use sparingly and check with company. Is this product good for all color leather? BEST ANSWER: This is the best leather product we have found. I have used it on many different colors of leather. As with any leather product, I would do a small test spot on any lighter colored or dyed leather. I also like this product because it doesn't make my hands itch while using it.